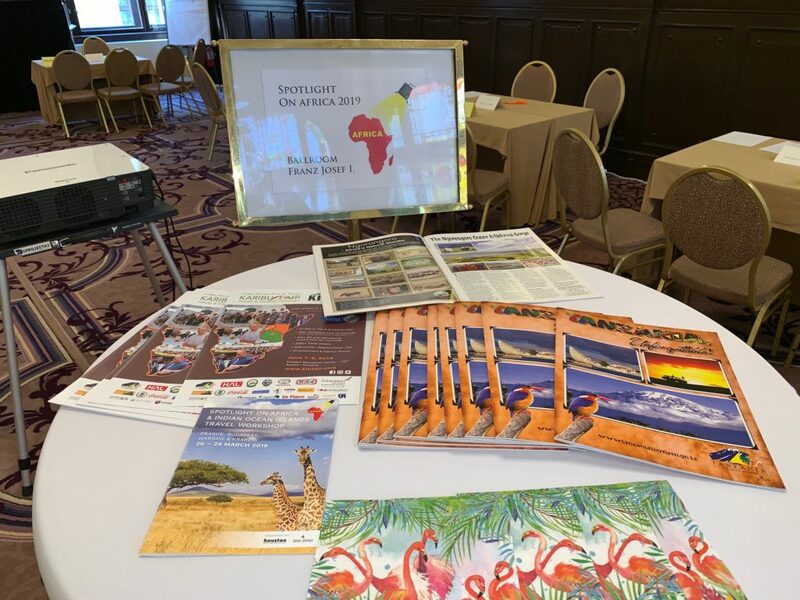 Selling Tanzania brochures on display at Spotlight on Africa workshop in Prague with 55 Czech Travel Trade attending – six Tanzania and Zanzibar operators and lodges are exhibiting to this exciting market! New Brochure Launched!! Get your copy today!! Marketing Services cc South Africa. Whilst every care has been taken to ensure all information is accurate and up to date, responsibility cannot be taken for any errors & omissions.